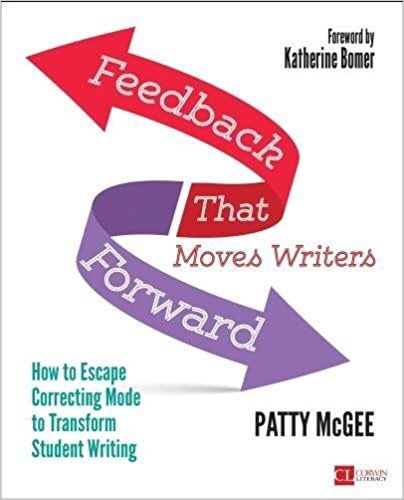 Anyone who teaches ANY sort of writing (ahem, social studies and science teachers too) must read Feedback that Moves Writers Forward: How to Escape Correcting Mode to Transform Student Writing and take Patty McGee‘s ideas to heart as she explores the language teachers can use to motivate students in the classroom. As a teacher going into her second year of providing feedback instead of marks, it is imperative I do this more effectively. I need to model effective feedback for my students so they can provide better feedback to one another. Although I have previously ditched the “red pen” mindset, I’ve learned so much from this truly “resource-full” book that will help me meet these goals. 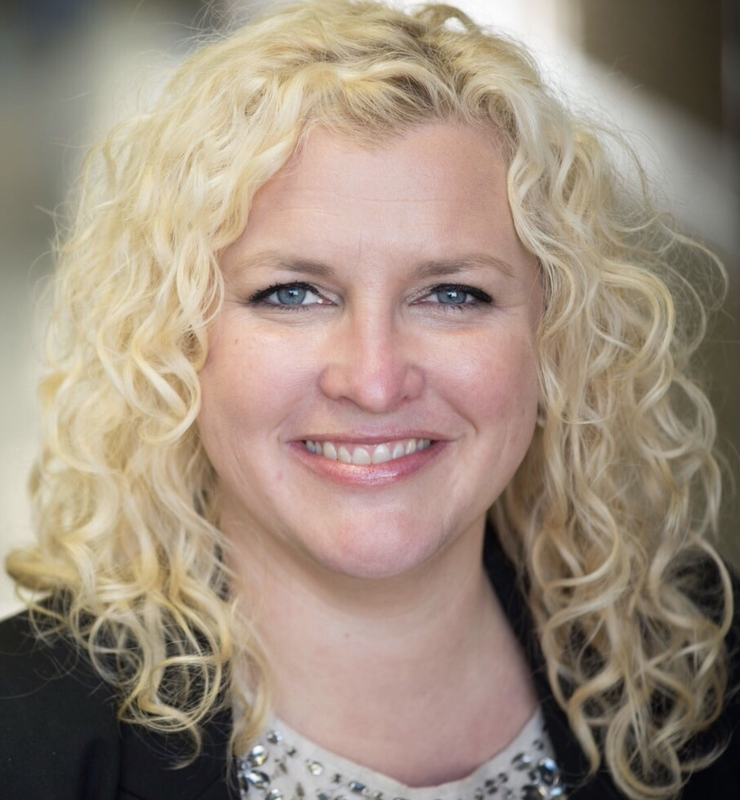 Part 1 includes information regarding what effective feedback is, how it works to improve learning, and how to teachers can make time for this approach. McGee deftly explains how teachers can “live in a grading world” and still give effective feedback. As I delve into this chapter, I see parallels with Peter Johnston’s book Choice Words. Yes, my words make a difference in how students react to my feedback. McGee also shows me how my words make a difference in how I perceive my students’ writing. Chapter Three is my favorite chapter in this section because it addresses the fundamentals of high-quality, effective feedback. McGee explains why it is essential to know students first so their strengths can be used to help them develop as writers. In Part 2, the author shares three goals for student writers and explains how teachers can provide feedback that can assist them in reaching those goals. Say you have a student who gets stuck. McGee helps you understand what the student is going through, as well as ways to assist her in getting “unstuck.” What if you have a writer who is on the right track but needs to stretch himself? McGee shows how to help him move him beyond complacency. I plan on using these strategies when I conference with my students this year. The last two chapters make the book sing. McGee spends time explaining the value of student ownership and agency. The last 25 pages focus solely on reflection as the key to helping the feedback cycle come full circle. I did not expect to get so much out of this book. After all, I’d just spent an entire school year giving ONLY feedback! Since reading, however, I have considered making several shifts such as creating contracts for students who need that scaffold to help argue for their grade at the end of the quarter. I have also collected many phrases and routines to help me garner trust while offering feedback. With Patty’s permission, I have added these three peer-feedback protocols to my Feedback in Lieu of Grades LiveBinder. I am excited to get back in the classroom this fall and use the language in this book to develop more confident, reflective writers! If you haven’t done so, consider the language you use when you provide feedback to your writers. Patty McGee’s gem of a book will help you to better tailor feedback to meet the specific needs of your students.